According to Bloomberg, it has been a few hours since Google’s stock value surpassed Microsoft for the very first time. 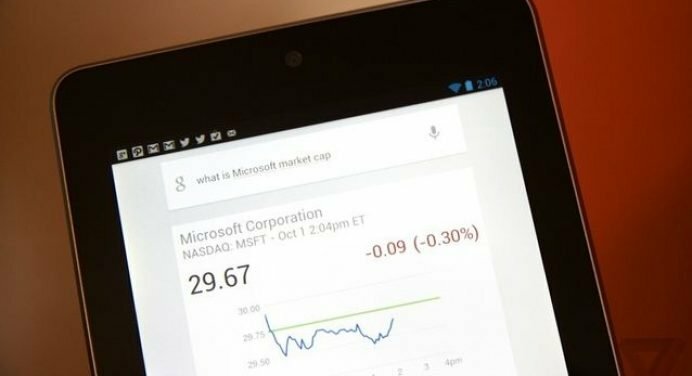 The report says that Google’s stock value has been on a constant rise since the last three months, while Microsoft’s was rather stable. And just today the thing finally happened, making Google the “second most valuable tech company” in the world. While the search giant has left Microsoft behind it is still far behind Apple. Google’s rise from an internet search engine to an advertising powerhouse and then the maker of world’s most used operating system for mobile phones has gradually brought it to this position. The company’s interest in everything tech seems to working well for it’s rapid growth as a tech company. With this dramatic jump in the stock values Google’s has become a $249.2 billion company. However, this figure stands nowhere when compared to Apple’s that values $632.9 billion.